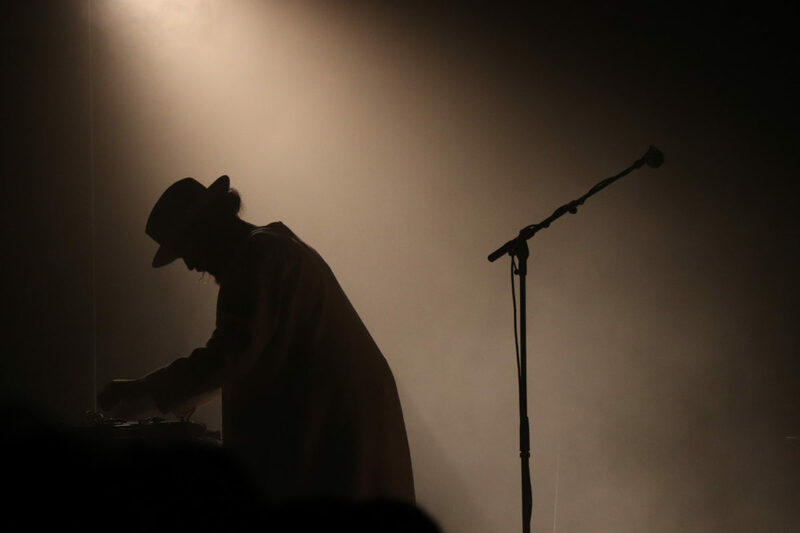 Sydney Owens | The Phoenix Ry X performed for an intimate, sold-out crowd at Thalia Hall March 26. It was an intimate night at Thalia Hall (1807 S. Allport St.) March 26. 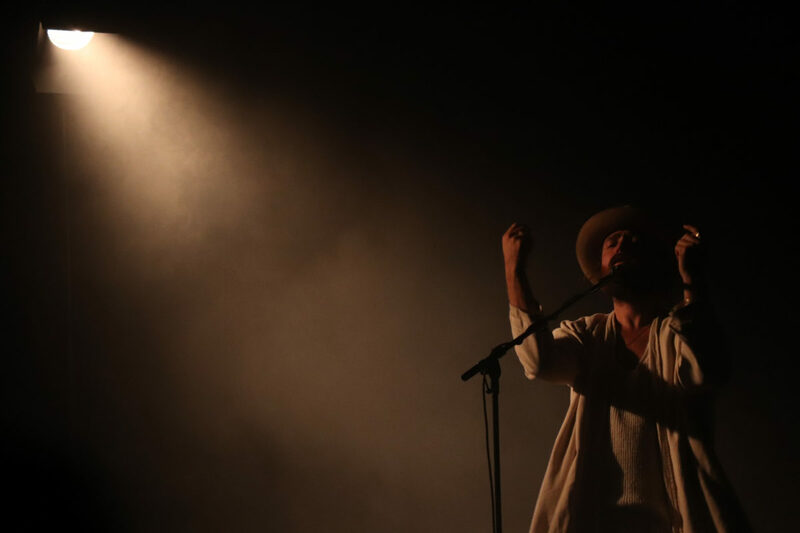 Australian singer-songwriter RY X played a sold-out show at the Chicago venue but made it feel as if there were only a handful of people in the room. RY X wasn’t the most exciting performer due to the nature of his music — a unique mix of indie-pop, folk and electronic. Regardless, audiences seemed captivated and intrigued by his ability to make a sold-out show feel personal and genuine. Throughout his set, most of the crowd stood quietly in awe of his emotional display of heart-rendering lyrics and passionate facial expressions. The rest of the crowd proceeded to sway back and forth to each and every distinct melody. For most of the show, there was a single spotlight shining on RY X’s head while the rest of the stage was dark. This dim yellow light made the entire venue feel smaller and more intimate. The similar light used to illuminate the rest of the stage during the rest of the show created a warm and inviting environment as well. 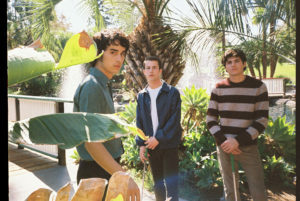 The Los Angeles-based singer’s latest album, “Unfurl,” dropped last month and has been well received by critics at publications including Pop Matters and Clash Magazine. In an interview with Entertainment Tonight, RY X cited Pearl Jam and Jeff Buckley as his greatest influencers, but his sound moreso resembles Bon Iver. The show began with a performance by singer-songwriter Charlie Cunningham, who recently signed with Dumont Dumont, the same record label RY X is currently with. 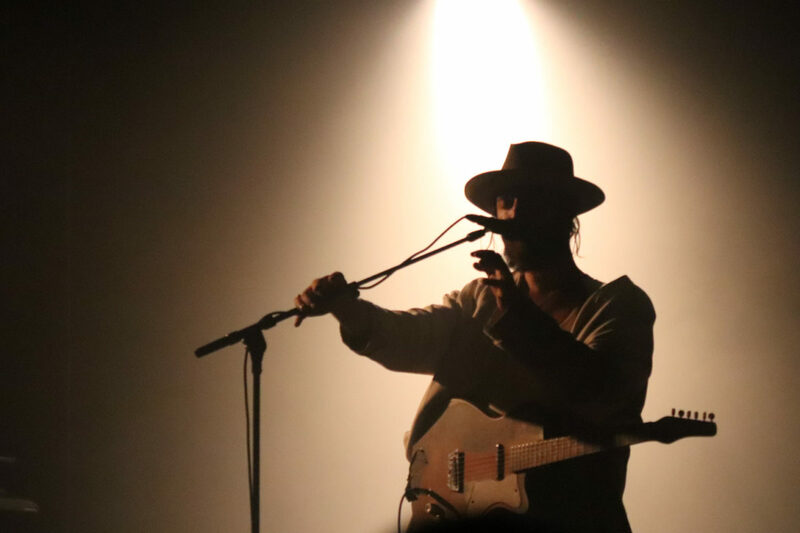 The English artist had a similar sound and appearance to RY X, creating an intimate setting with only himself and his guitar on stage as he sang softly. Cunningham played some of his most popular tracks, including “Minimum” and “Lights Off,” before exiting the stage after about 30 minutes. Concert-goers continued to pour into the venue, patiently waiting in anticipation of RY X. 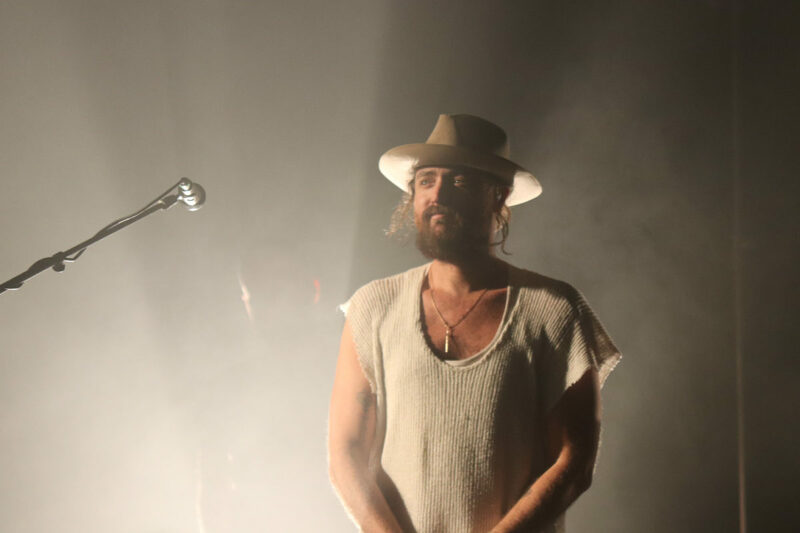 When he finally made his way to the stage with his tour band, it was clear — despite the dimly lit stage — which figure was RY X due to his staple uniform of a loose, white v-neck and fedora. The artist opened the show with his emotionally charged and somber song “Sweat” from his first full-length album “Dawn.” Following this slower piece, RY X tried to capture the crowd’s attention with the more upbeat “YaYaYa.” The concert progressed with more and more electronic additions to each song including synthesizers and drum tracks. His clever use of repeated melodies worked exceptionally well with his use of pitch and tone, which seemed almost perfect. The repetition allowed everyone to sing along. Many audience members began to dance in harmony with the melodies and seemed hypnotized by the drone-like beat progressions. RY X’s vocals were amplified by his fellow band members — a drummer and two keyboardists. He also played an acoustic guitar and occasionally alternated between another two keyboards where he would stand hunched over for a few short seconds before darting across the stage again. RY X finished his show with two songs, “The Water” and “Howling,” both of which were met with excitement from the crowd. The powerful emotion expressed during these songs likely left an impression on everyone in attendance, and the performance escalated as a result. After the last note, he quickly thanked the audience and exited the stage. Shortly after, the audience began chanting and pleading for one more song. After a few short minutes, the artist returned and officially concluded the show by performing his song “Only.” Finally satisfied, the audience began to shuffle over to the merchandise table to purchase t-shirts plastered with RY X’s face. RY X knows how to captivate an audience, despite the low-energy vibe of his soft voice and quiet songs. His music is available to stream on Apple Music and Spotify.